L & L Nursery Supply is part of larger Distributor network, Gro Group Distributors, that includes 11 Regional Distributors. Combined they have 26 total distribution centers that covers approx. 25,000 retail locations across the US. In total they have over 400 sales reps that cover their markets. 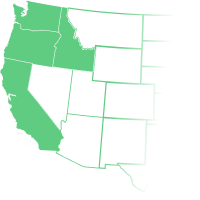 L & L has over 30 reps in their specific market, along with three National or Regional Sales Managers overseeing their West Coast business. They provide merchandising and advertising programs tailored to their regional needs. Exhibit at their annual show in Reno NV.